Partners: Instituto Volcanologico de Canarias (INVOLCAN), Instituto Tecnológico y de Energías Renovables (ITER), Agencia Insular de Energía de Tenerife (AIET), Centro de Vulcanologia e Avaliação de Riscos Geológicos da Universidade dos Açores (CVARG), CIVISA – Centro de Informação e Vigilância Sismovulcânica dos Açores, Insitituto das Florestas e Conservação da Natureza (IPRAM). Financing: Madeira-Azores-Canary Islands Interreg Territorial Cooperation Programme (MAC) 2014-2020. Axis 3 – Promote adaptation to the Climate Change and risk prevention and management. 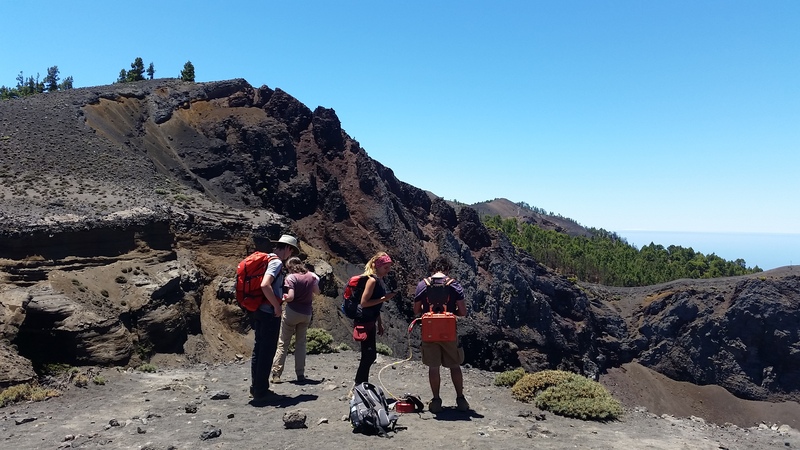 The main aim of the VOLRISKMAC project is to strengthen capacities for the monitoring of volcanic activity, with the aim of improving the early warning system for volcanic eruptions and earthquake crisis, as well as the management of volcanic crises in Macaronesia. The volcanic risk in the Macaronesia region is now greater than 50 years ago due to a socio-economic and population increase in the region exposed to hazards associated with the volcanic phenomenon. As this development will continue over the next years, the volcanic risk in the region will be higher in 2050 than it is today. Therefore, it is very important to strengthen all the capacities to contribute to the volcanic risk reduction in the region. The volcanic risk’s reduction recommendations established by the scientific community and the international politics through the IAVCEI and UNESCO, respectively, will be applied within the frame of this project. The volcanic emergency monitoring and management are the most useful actions to contribute to the reduction of volcanic risk in densely populated areas such as the Macaronesia region. The project’s geographical intervention scope is the Macaronesia region, specifically, the archipelagos of Azores, Madeira, Canary Islands and Cape Verde. In the Canary Islands, the activities will be carried out in Tenerife, La Palma, Lanzarote and El Hierro. In Cape Verde, these activities will be focused on the island of Fogo, and in Azores, in the island of Sao Miguel.